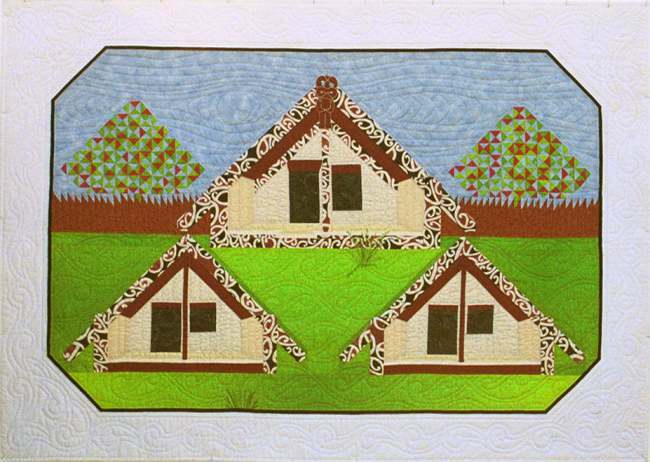 May, 1995 – New Zealand – The Maori meeting house represents the body and soul of a revered ancestor. This house has a large, carved statue with blue sea shell eyes at the peak of the roof. It is quilted with moko, Maori tattoo designs that represent the sea, the sun and the soul. 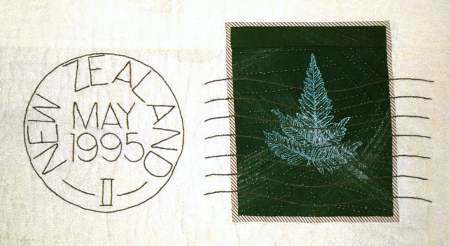 The moko fabric used to represent the carved timbers was found in New Zealand.